Sunderstorm's delicious Kanha gummies offer a medicated experience in the form of sour apples. Unwrap the power of apples and CBD. The Cannabidiol (CBD) is a non-psychoactive cannabinoid found in marijuana. It is believed to be an anti-inflammatory agent that is more effective than aspirin, and it can also be a sleeping aid without the side effects of sleeping pills. 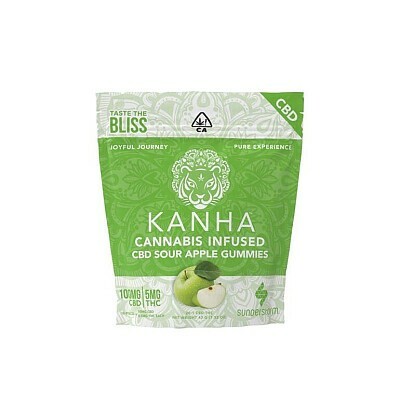 Check the many benefits of CBD and try our Kanha gummies infused with only the highest quality CO2-extracted organic cannabis oil for a zen experience without compromising your taste buds.